Joe Harris Carpet Cleaning Inc.
Our goal is to connect people with the best local experts. We scored carpet cleaners on more than 25 variables across five categories, and analysed the results to give you a hand-picked list of the best carpet cleaners in Portland, OR. A+ Carpet Cleaning is a Beaverton carpet cleaning contractor that has won the Angie’s List Super Service Award for ten consecutive years, including 2015. In addition to stain removal and other standard carpet cleaning services, A+ Carpet Cleaning specializes in carpet re-stretching and area rug cleaning, as well as tile cleaning, grout cleaning, upholstery cleaning, and vehicular cleaning. The IICRC certified business earns high praise for its ability to quickly and inexpensively make filthy carpets look good as new. AbsoluteCarpet Cleaning, Inc. has operated throughout the Portland area for more than 35 years. In addition to standard residential and commercial carpet and upholstery cleaning techniques, the team of licensed, insured carpet cleaning professionals can perform carpet cleaning procedures that are customized for individual customers. Green, hypoallergenic, and low-moisture carpet cleaning options are available. Carpet Savers Hillsboro is a licensed, bonded, and insured carpet cleaning contractor that operates throughout the Portland Metro. Staff technicians can also perform air duct cleaning, dryer vent cleaning, and tile and grout cleaning and restoring services. clientsDiscounts are available for returning customers and customers who bundle together multiple services. Carpet Surgeon Inc. has operated throughout the Portland Metro region since it was established in Beaverton more than three decades ago. Its technicians specialize in eco-friendly cleaning methods, using cleaning products from Planet Guard and Biokleen. The team of licensed, bonded, insured experts can also resurface and clean hardwood floors and other hard surface floors. Carpet Surgeon Inc. has a local office in Beaverton and another in Vancouver. Cawood Carpet Cleaning, LLC was founded in 2011 in Portland and serves residents throughout the area. The team of licensed, insured carpet care specialists can also clean upholstery, grout, and tile. Prior customers heap praise on Cawood Carpet Cleaning, LLC for its friendly service, effective cleaning work, and its low prices. FirstChoice Janitorial Service is a carpet cleaning contractor that has served the Portland Metro community for more than 15 years. Clients can contract First Choice Janitorial Services for one-time cleaning projects such as carpet cleaning and upholstery cleaning. However, the business’s specialty is providing regular janitorial services for both residential and commercial clients. All custodians are licensed, bonded, and insured. Gallagher’s Rug and Carpet Care is a Portland carpet cleaning service. Technicians are licensed and insured to clean carpets, rugs, and upholstery. The team’s specialty is serving commercial clients, whom it provides with bi-monthly, monthly, or annual cleaning services. Gallagher’s Rug and Carpet Care has worked with UPS, Pacific University Oregon, and Morones Analytics, among others. Howells Carpet Cleaning in Milwaukie has served the Portland Metro area for more than 10 years. The carpet cleaners also offers furniture cleaning, furniture moving, steam cleaning, encapsulation cleaning, area rug cleaning, and stain removal. The team offers eco-friendly cleaning solutions are 99.5% biodegradable, safe for children and pets, and contain no soap residue. JC Carpet Cleaning was established in Tigard more than 18 years ago, and since then, the BBB accredited business has provided carpet cleaning and restoration services to Portland Metro clients. JC Carpet Cleaning works with residential clients but specializes in servicing commercial and multi-family properties. Past customers gush about the affordable rates and friendly, effective technicians. Joe Harris Carpet Cleaning Inc., formed in Tigard in 1991, cleans carpets for homeowners and business owners in the Portland Metro. Technicians are licensed, insured, and bonded, and specialize in flood damage restoration, and cleaning of rugs, and removal of pet odors and deep stains. Technicians can also apply carpet protecting chemicals to prevent future staining. Based in Portland, Kleen Biz is a carpet cleaning contractor that also cleans gutters and windows and performs general house cleaning services. All cleaning services are performed by a technician who is licensed, insured, and bonded. In reviews and comments online, customers say that the owner performs most of the cleaning work herself and that she is a friendly and meticulous carpet cleaning expert. Mr. Steam Carpet Cleaning is a Portland Metro carpet cleaning contractor specializing in addressing odors and stains caused by pets. Tile cleaning, grout cleaning, upholstery cleaning, and duct cleaning services are also available. In reviews and testimonials online, users praise Mr. Steam Carpet Cleaning for its speedy response times and friendly staff. Many reviewers say that they would use Mr. Steam Carpet Cleaning again. Myles O’Donnell & Company was established in Milwaukie in 1949. The longtime provider of Portland Metro carpet cleaning services specializes in serving commercial and industrial clients. Large-scale customers receive general janitorial services, floor waxing, window washing, and construction cleaning services from the Myles O’Donnell & Company team of licensed, insured cleaning specialists. Commercial and industrial cleaning services are available on a one-time basis or a recurring basis. North County Carpet Cleaning, Inc. was founded in Vancouver in 2013. The business performs pet odor removal, upholstery cleaning, and Scotchgard treatment. However, the North County Carpet Cleaning team of professionals specializes in carrying out commercial-grade cleaning work. Commercial clients can hire the crew for a long-term contract of regularly scheduled cleaning visits, which are customized to the needs and expectations of individual business owners. Praise Cleaning Services is a Beaverton carpet cleaning contractor that operates throughout the larger Portland community. Licensed, insured technicians working for this small family business can perform RV detailing, steam cleaning, pressure washing, and regular janitorial visits. Praise Cleaning Services is BBB accredited. Revival Carpet Cleaning has served the Portland Metro from its HQ in Hillsboro for more than 10 years. 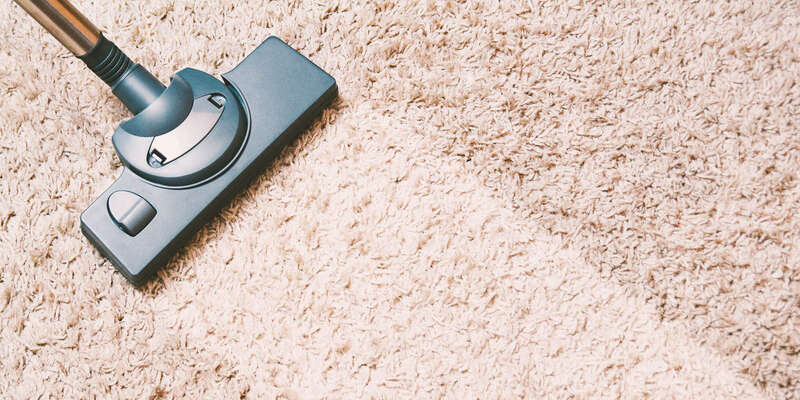 The licensed, bonded, insured technicians on Revival Carpet Cleaning’s staff take a multi-step approach to carpet cleaning, a process that includes pre-conditioning, pre-spotting, and pre-vacuuming, and raking, followed by steam cleaning and carpet grooming. Former customers praise Revival Carpet Cleaning for its courteous customer service, which places a strong emphasis on honesty and family values. Terry’s Carpet Care is a veteran of the Portland carpet cleaning industry, with more than 35 years of experience removing stains and odors from the carpets of local customers. Technicians also perform tile washing, grout washing, and pressure washing. Staff carpet cleaning practitioners are IICRC certified, licensed, and insured, and the business has won the Angie’s List Super Service Award multiple times. Terry’s Carpet Care operates two local offices, one in Vancouver and one in Portland. Started in Gladstone in 1998, TLC Carpet Cleaning offers upholstery cleaning, carpet color repair, tile and grout cleaning, and water damage restoration to Portland Metro property owners. In online reviews and testimonials, residential clients and property managers alike compliment the friendly and affordable service provided by TLC Carpet Cleaning. Tufts Carpet Cleaning is a Happy Valley carpet cleaning business that works with residential and commercial clients in the Portland Metro area. In addition to providing homeowners with stain and odor removal services, Tufts Carpet Cleaning has a range of services for business owners. Commercial clients who need carpet cleaning service with minimal interruption can request interim service, which involves cleaning heavily trafficked areas rather than fully cleaning the entire carpet. Started in Beaverton in 2004, Walt’s Original Eco Clean Carpet Cleaning serves Portland Metro customers. The business, which cleans both carpets and upholstery, specializes in using cleaning solutions from the brand Biokleen that are non-toxic and biodegradable. The staff’s high-quality customer service has earned the business multiple Angie’s List Super Service Awards. Prospective clients should note that a competing local business, also using the “Eco Clean” name, is unaffiliated with Walt’s Original Clean Carpet Cleaning.